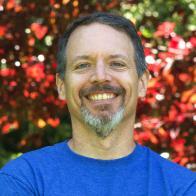 Gary Parks is a film, television, animation, and visual effects professional based on Bainbridge Island, Washington. Working on all types of projects, Gary has worked at all levels from creative to technical and from artist to leader. He has worked on many Hollywood projects from the "Grimm" television show, to movies such as "A Christmas Carol", "Over The Hedge", "Dinosaur", "Mars Attacks! ", and many others. Gary loves to tell stories through filmmaking, photography, graphic design, print, and writing. He enjoys working on large scale projects as well as independent and individual projects, too. He is currently establishing photography clientele on Bainbridge Island, working on film and television projects, writing poetry and prose on Instagram as "Innerswarm", founding a production company for filmmaking projects, and actively engaging new clients for all creative ideas. Gary Parks Creative was formed to give a structure and visibility to the many creative endeavors Gary pursues. No project is too large or too small, let's chat about your project today.